Designed specifically for the varmint hunter. The slightly larger opening in the nose allows the bullet to expand instantly creating the highest possible opportunity for an explosive, one shot kill. The J4 Precision Jacket that we use has a thinner wall at the nose to assist in rapid expansion while it also has a base that is thick enough for high velocity cartridges. 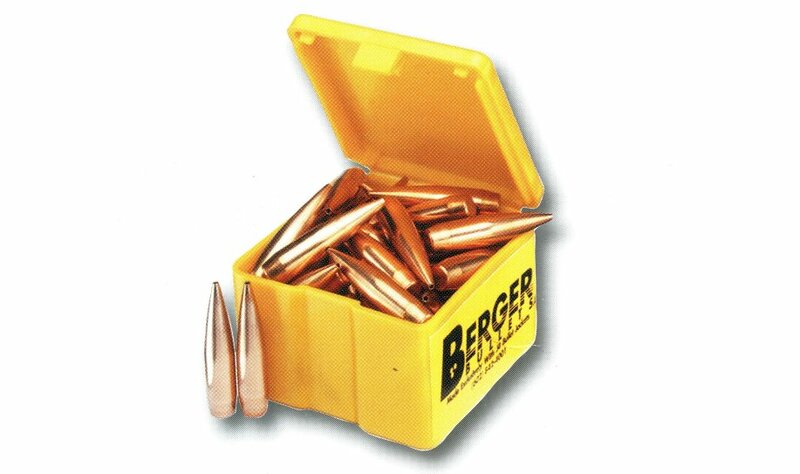 Berger uses the same high-grade materials and techniques to make varmint bullets as they use in the Match Target Bullets... So you can expect the same tight groups you get from our target bullets. Non-returnable item. As expected, these bullets perform with accuracy and precision.